Appoint an executor. Without it, the courts are left to decide how things are handled. Appoint guardianship for your children. Appoint guardianship for property management. Establish the distribution of property. Establish a trust or life estate. Make provisions for the payment of debts. Provide a waiver of the executor posting bond. Provide for the distribution of property. Clearly state what the executor is allowed to do and not do. Anticipate possible conflicts and include instructions for how to deal with them. If there is no will, the courts will appoint an administrator for the estate and distribute property according to Ohio law. In many cases, this is not what the deceased would have considered ideal. Having a will makes obvious sense. We understand that it's not a pleasent thing to think about, but the alternative is usually worse. Particularly, anyone who owns property of any kind should have a will. 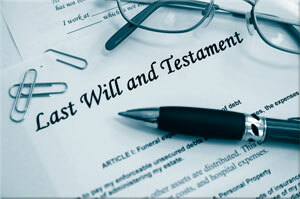 The person making the will may designate the executor rather than allowing the court to name one. We can help in this regard. A living will allows a person to declare his or her intentions relative to withholding or withdrawal of life-support when they are no longer able to make the decision on their own. If both a living will and a Health Care Power of Attorney, the living will takes precidence in matters associated with the decision to remove life support. The Health Care Power of Attorney allows for decisions like the release of medical records, hiring and terminating health care personnel and the selection of health care facilities.